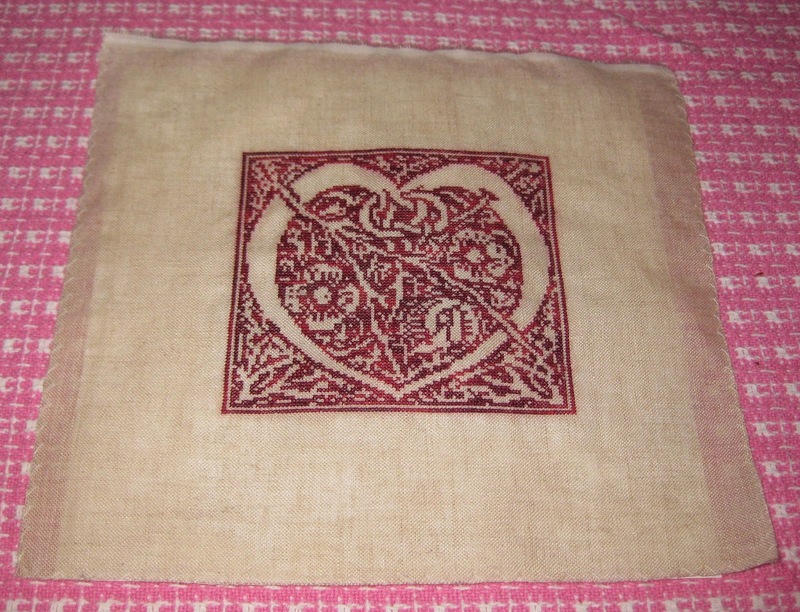 Bits of My Own: Happy Valentine's Day ! Just in time, The Celtic Heart is finished. 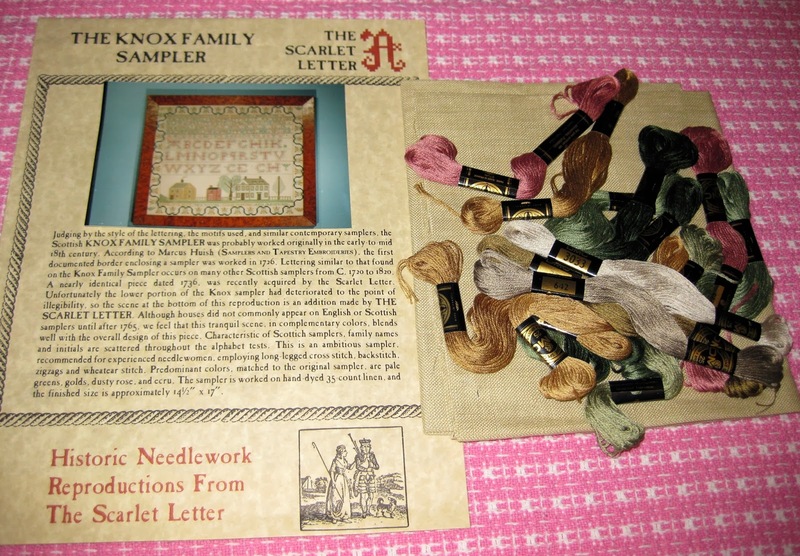 I also chose my next sampler from The Scarlet Letter. I love the soft, muted colors. I made a small start. 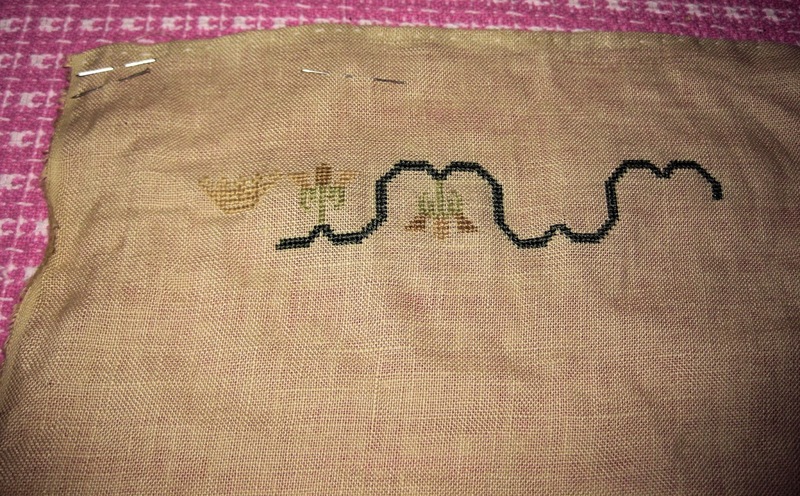 I am stitching with DMC on 36 count linen. Hope all of you are surviving the snow if you are in the Northeast or Central US! I am thinking of getting a dog sled! Beautiful Celtic heart! Love the new SL start too. Enjoy the weekend! You finished your Celtic heart perfectly in time and it looks grogeous. Great new project, too. I love your Celtic Heart! And your next SL piece looks so pretty! Just what I need -- another to add to my list. lol! 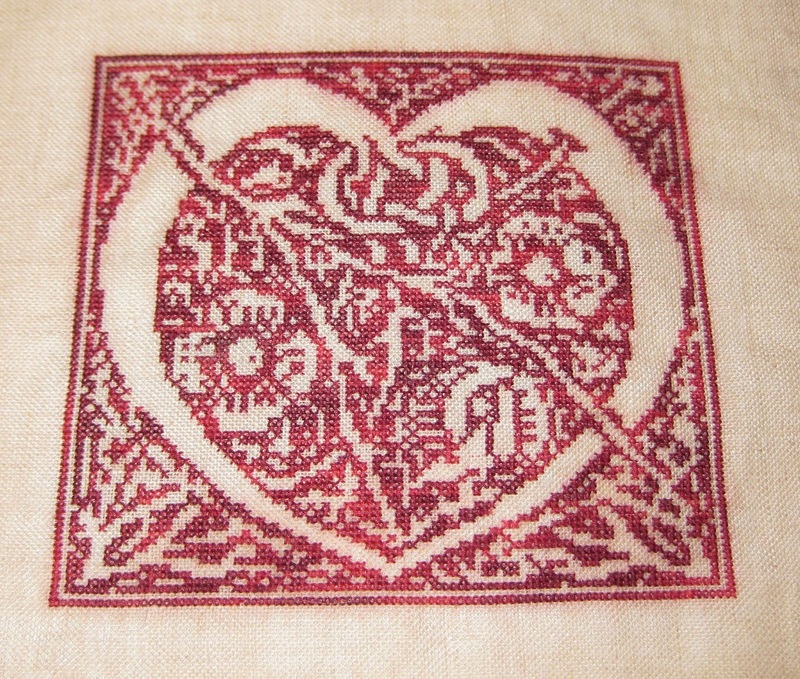 the Celtic heart is just beautiful and I really like the Knox Family sampler. You are off to a good start! Love your beautiful heart finish, Erica!